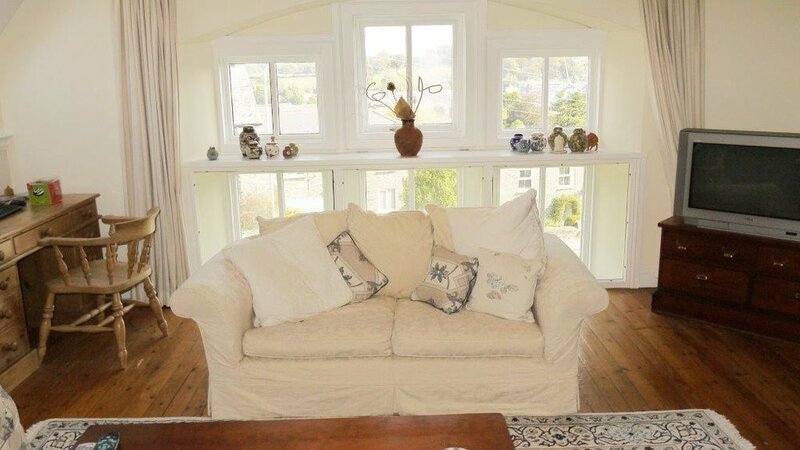 This tidy terraced house is sure to cause a stir. With fantastic views across to Gonvena from its convenient location only a few minutes’ walk from the town centre, snap it up while you still can! Step inside the entrance hall with its double height ceiling. There is room to hang up coats and leave your shoes. Light and welcoming, this is a great start to the interesting split-level layout. A small flight of stairs leads up to the living areas. Stripped wooden flooring adds a lovely texture up the stairs and along the hall to the kitchen and living room. The hall is a good width and there is space for a sideboard or even a dresser on the right-hand side. The kitchen diner is at the top of the stairs to the left and is a really great size. The kitchen area is to the right with a natural dining area to the left. A large Velux window lets the light in and there are some lovely original arches to each corner. The kitchen is fitted with a range of base and wall units topped off by laminate worktops and a red tiled splashback adds a pop of colour! 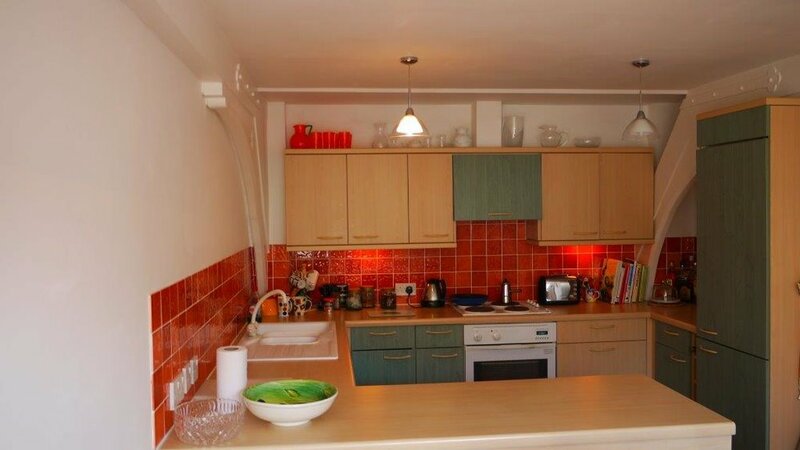 There is an integrated dishwasher, fridge freezer and an electric oven and hob with an extractor hood above. The living room is stunning. This spacious room has one of the original, arched school windows, split into three sections and this gives a fantastic view over the town towards Gonvena. Downstairs, find the three bedrooms and family bathroom all off the same hallway. 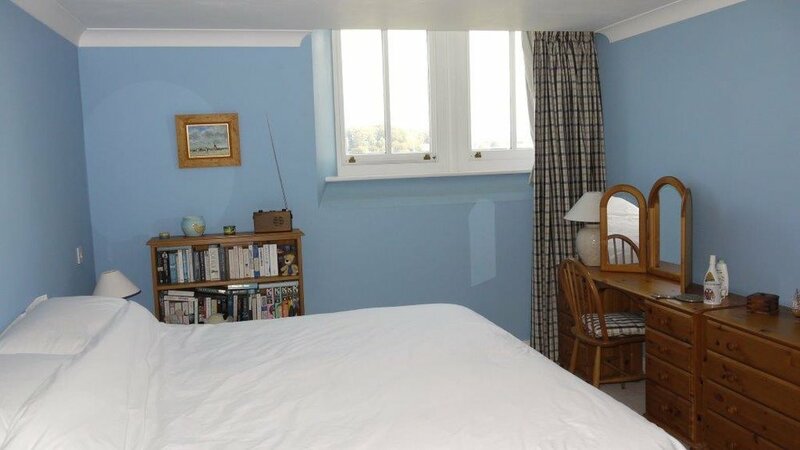 Bedroom 2 is directly to the left and has some useful under stairs storage and a high-level window. The family shower room is on the right-hand side of the hallway and is smartly fitted with a shower cubicle, WC and pedestal wash basin all in crisp white. At the end of the hall, bedroom two is to the right and has a built-in wardrobe. 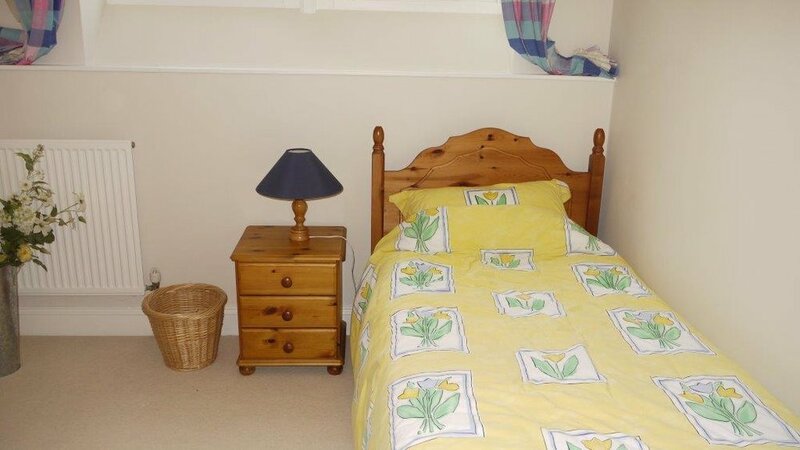 The master is right next door and is a fantastic double room, with plenty of space for the biggest of beds. 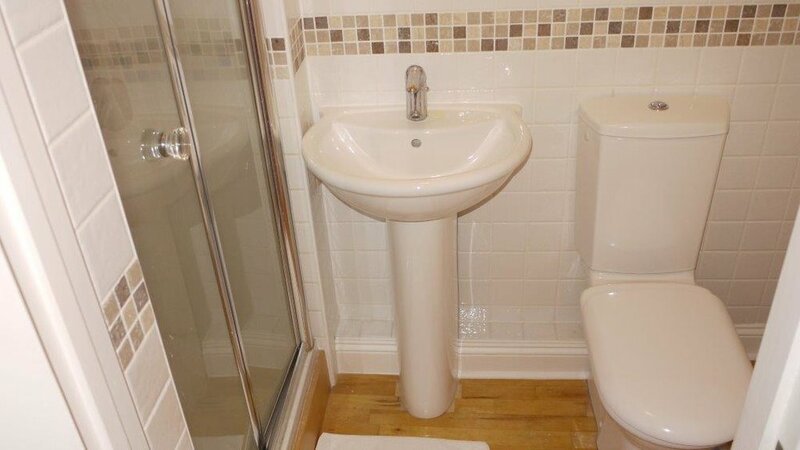 The en-suite bathroom has a bath with a shower attachment, bidet, WC and a pedestal wash basin. Step outside to a small patio area where you can sit out and relax. There is a small shed and a parking space in the communal parking area. Peach Thoughts. 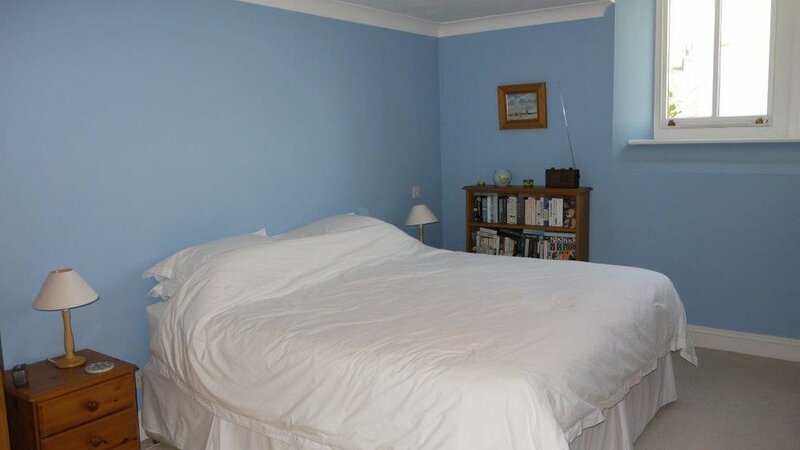 This is a great property which would suit a family or a professional couple. It is super spacious and the location is very convenient as it a short walk downhill to town! With its lovely sitting room and fabulous bedrooms and bathrooms it provides enviable accommodation. 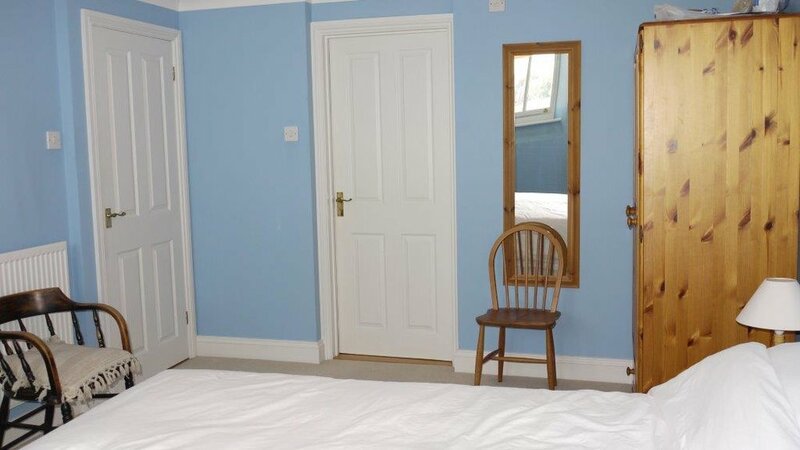 PLEASE NOTE: The photographs shown are from a previous tenancy and the property is being offered unfurnished.